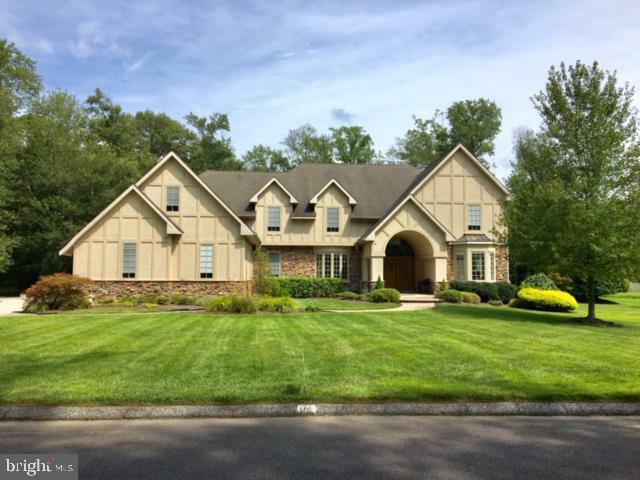 Palatial Custom Home designed to make a great impression with outstanding craftsmanship and attention to detail both inside and out. 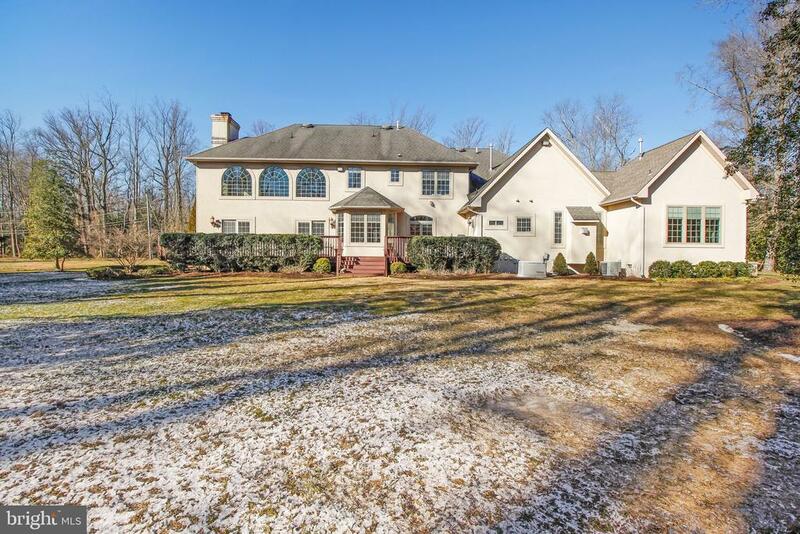 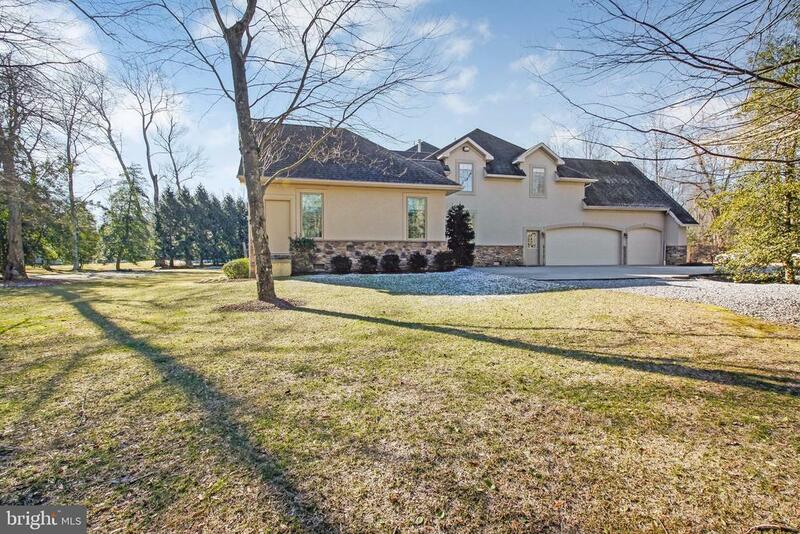 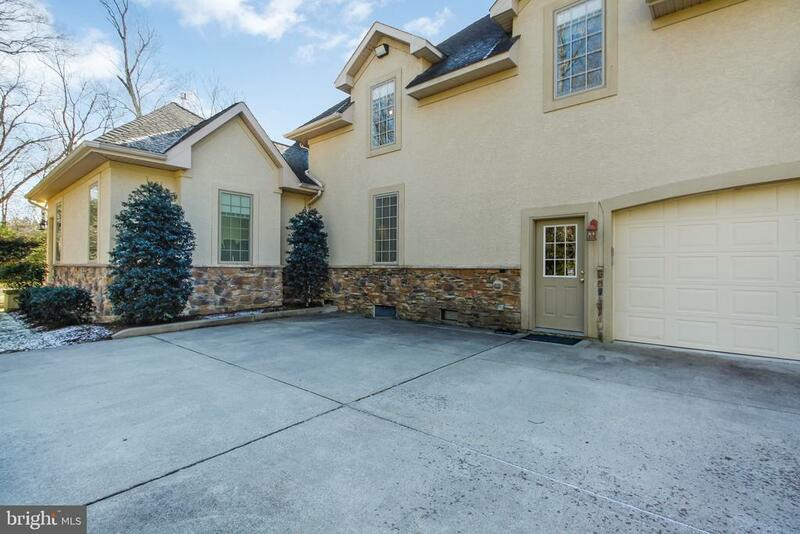 Nothing has been overlooked, with two Master Bedrooms, Gourmet Chefs Kitchen, two gas fireplaces, two laundry rooms, and a stone wet bar, to the professional landscaping; your every wish will be met. 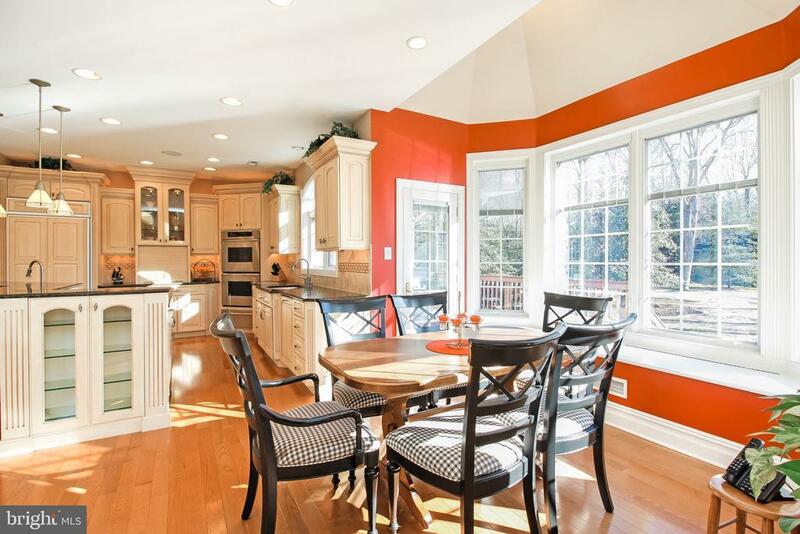 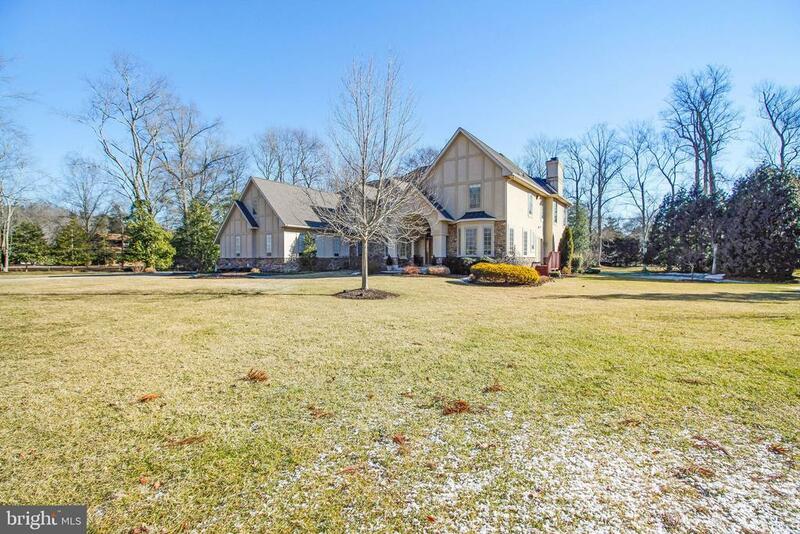 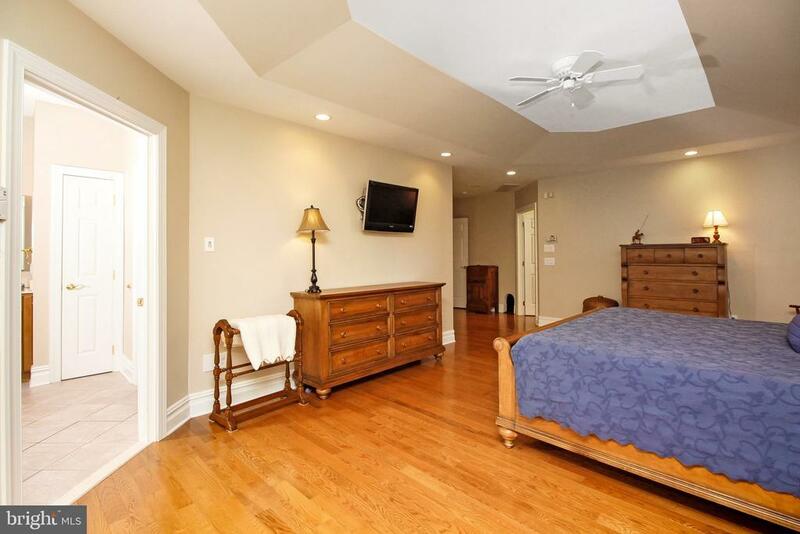 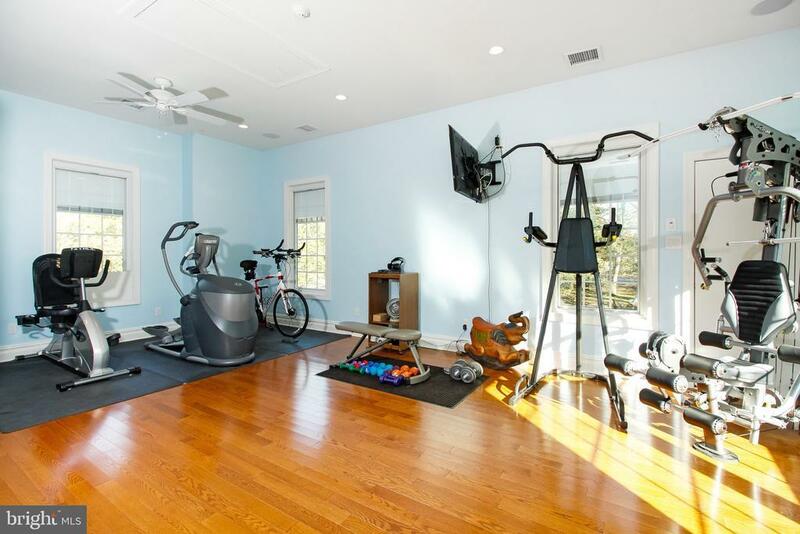 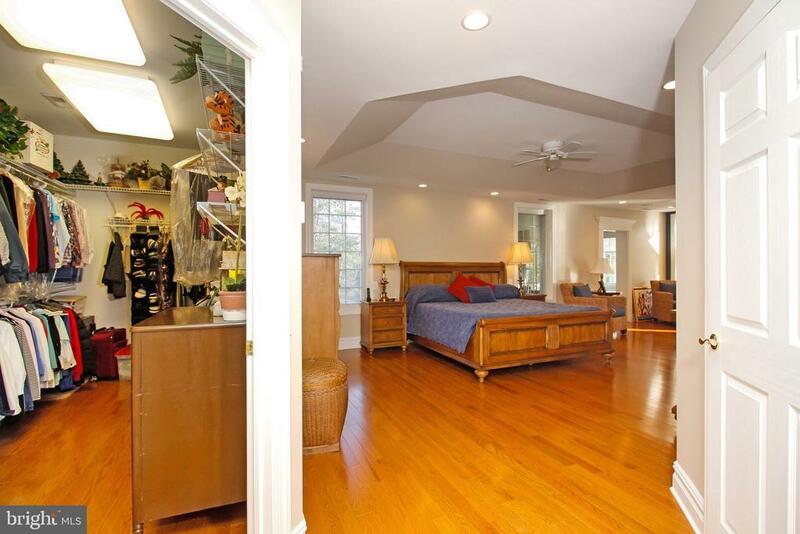 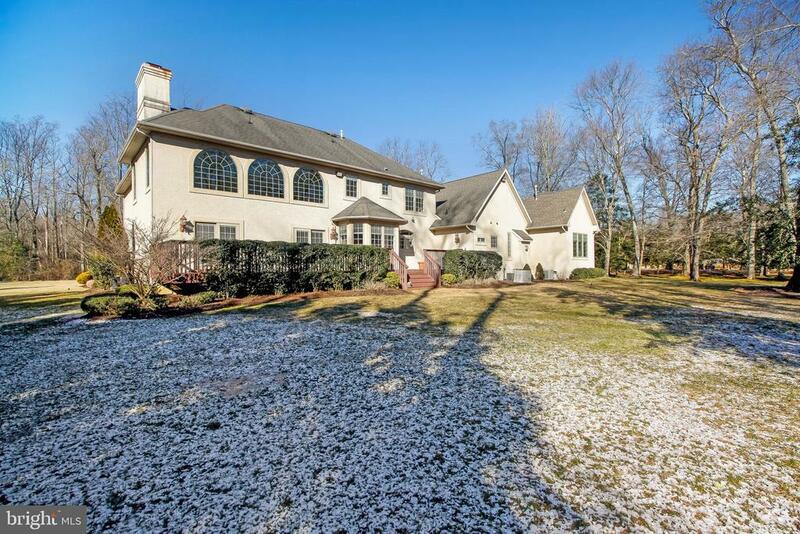 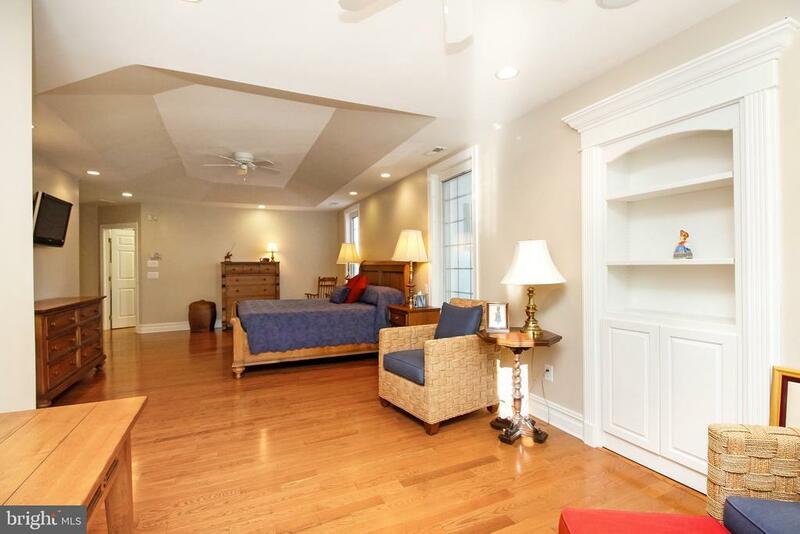 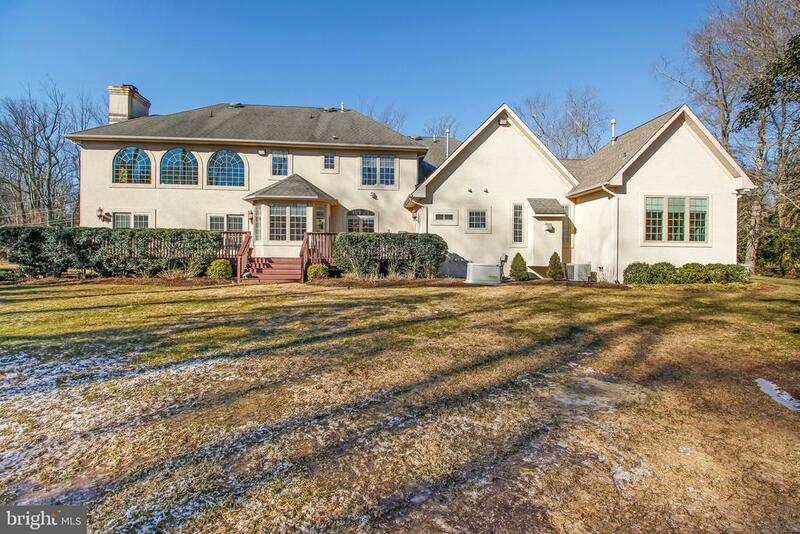 The first floor hidden Gym/Office/Sunroom can easily be converted into a large work-at-home office with a private entrance available, or combined with the Master Bedroom for the perfect In-Law-Suite. 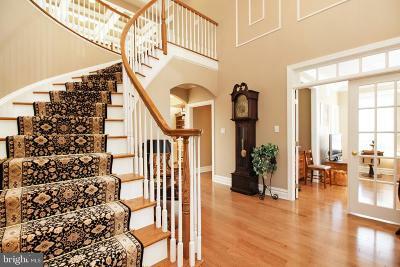 Attention to detail sets this home apart: from the gorgeous hardwood floors, extensive crown moldings and millwork to include dentil, crown and chair rail moldings, custom built-ins and wainscoting, decorative columns, to the dramatic coffered ceilings, all of which add architectural interest. 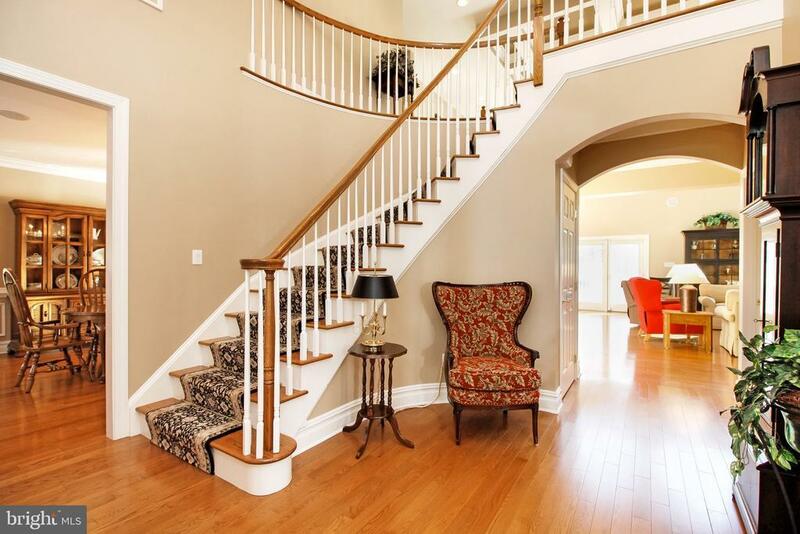 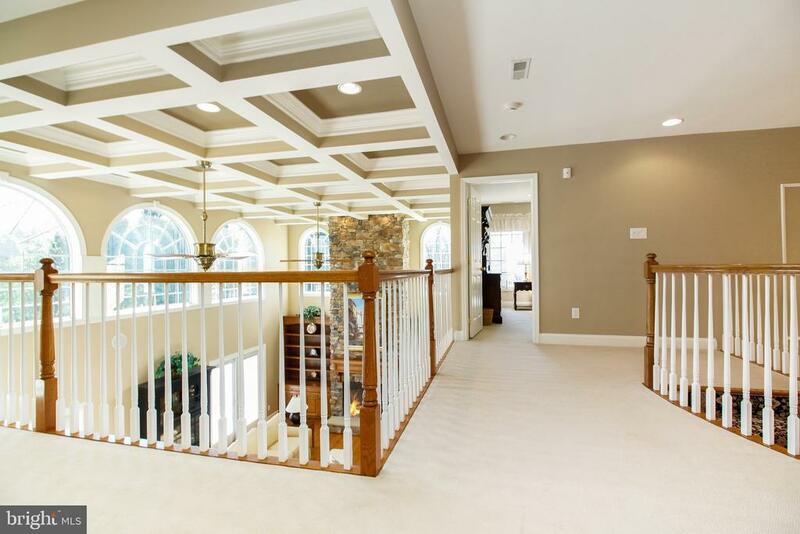 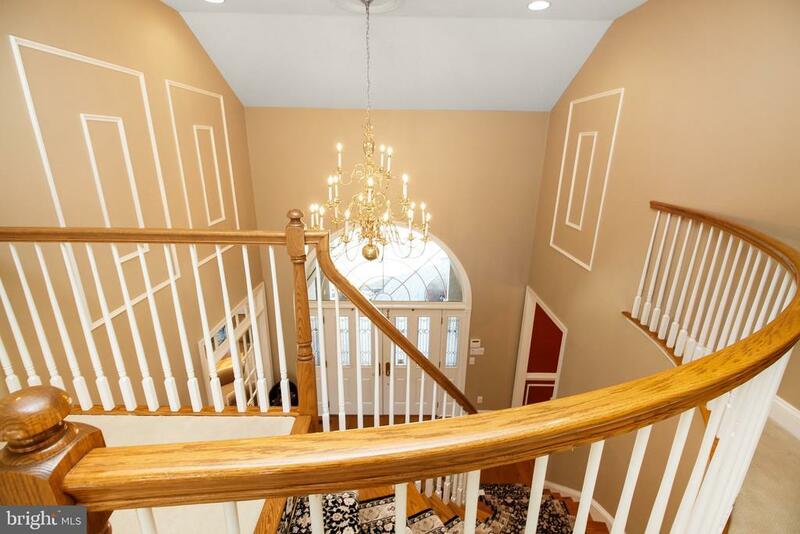 Enter this dream home through the two story foyer with its impressive curved staircase and magnificent chandelier. 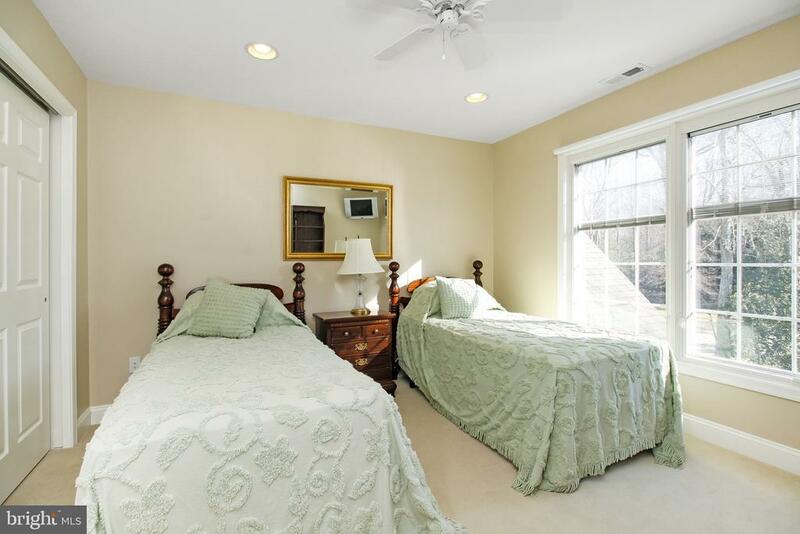 On the right are French doors leading into the study, which could be converted into an extra bedroom with an optional bathroom already plumbed in and ready to be finished to your specifications. 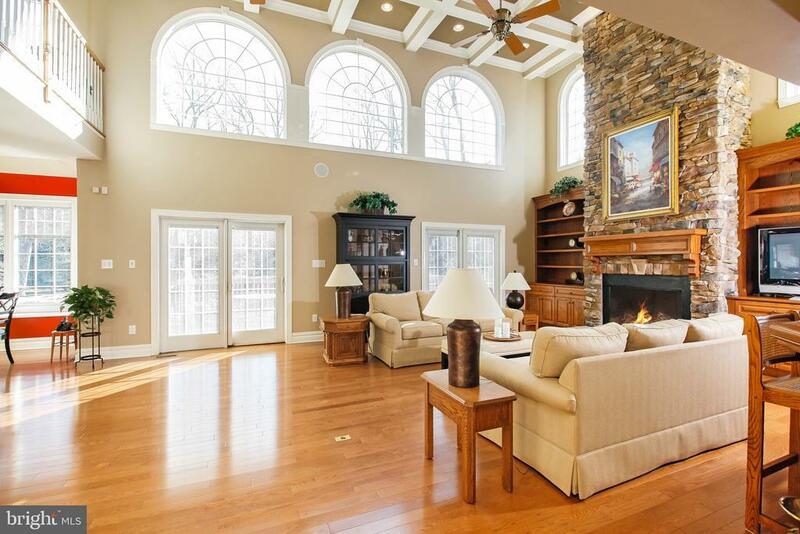 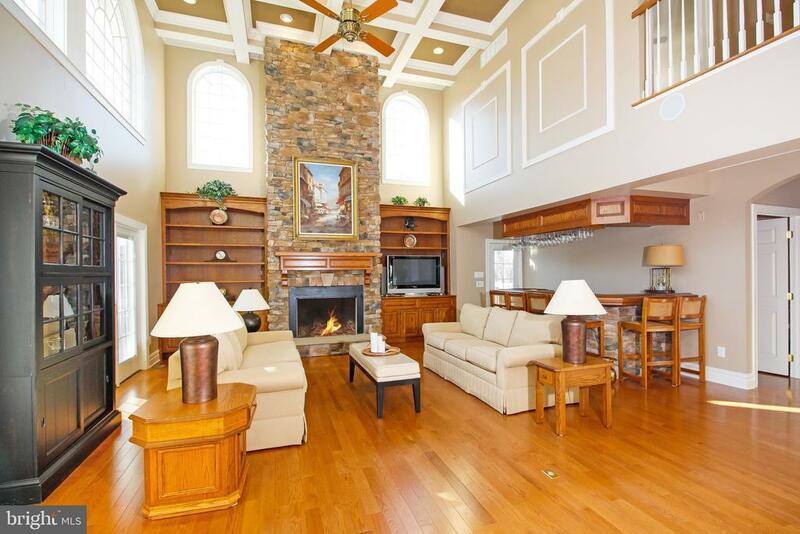 Proceed to the Family Room with its stunning two story high stone, gas fireplace reaching up to the dramatic coffered ceiling and palladium windows, which bring the outdoors in, and create a sunny oasis for your family and guests. 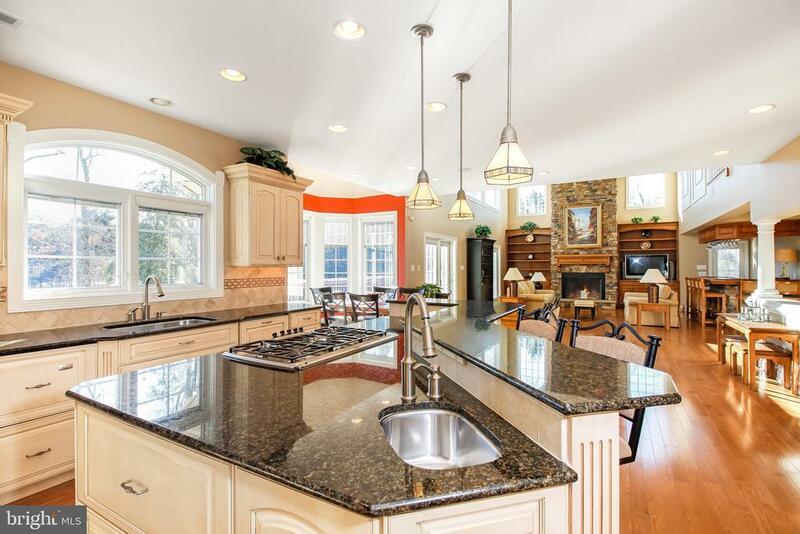 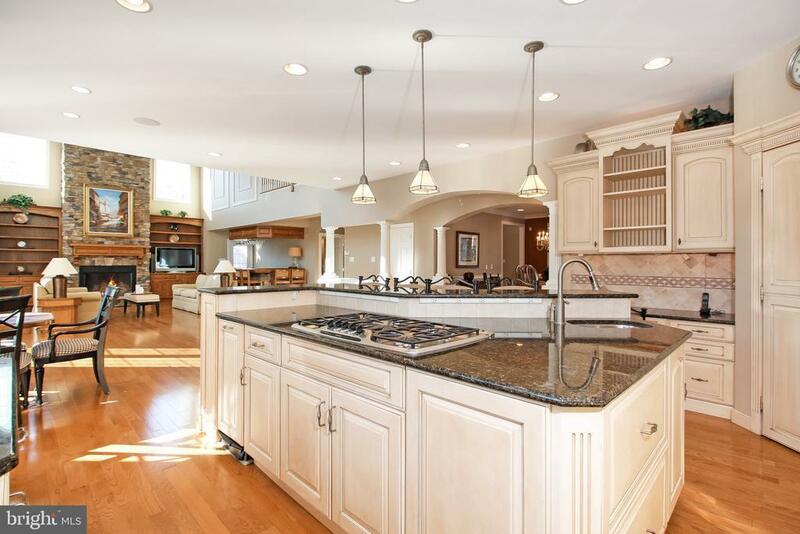 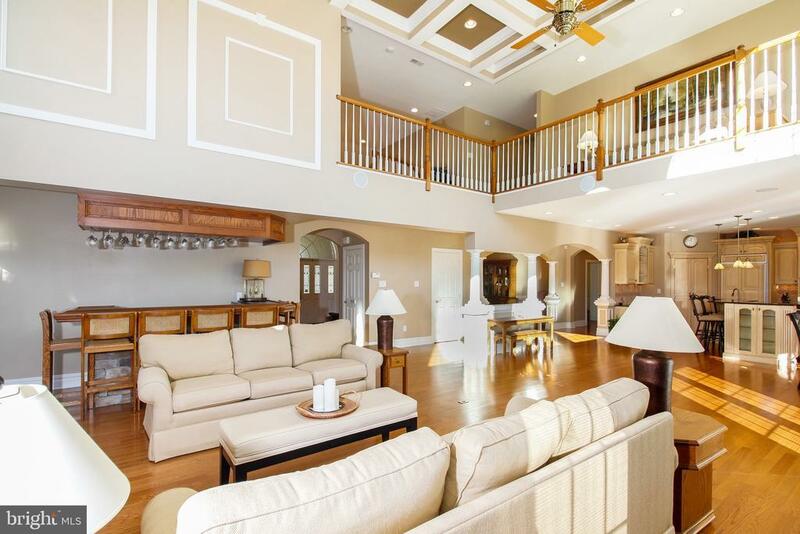 Open to the Family Room is a stone wet bar, breakfast area and the Gourmet Kitchen, making it an entertainers dream, with access through two sets of French Doors onto the spacious back deck and tree filled yard, making this the perfect entertaining space. 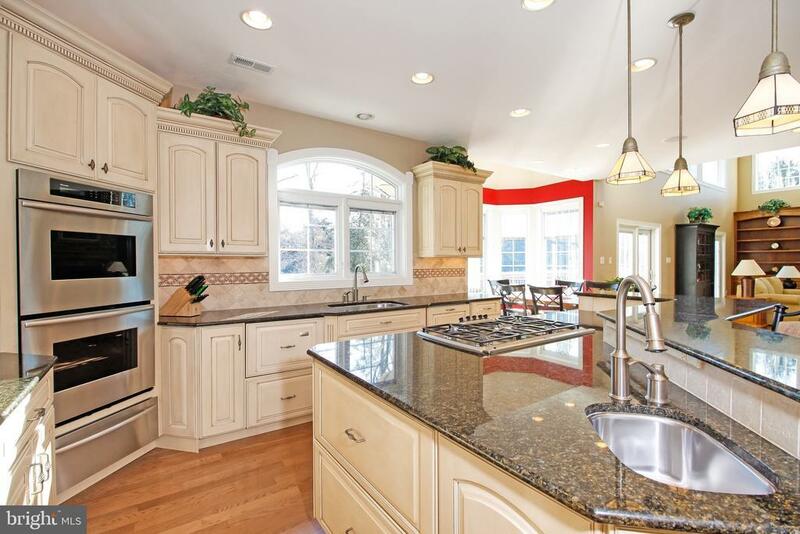 The Gourmet Chefs Kitchen has top of the line everything with features such as traditional creamy white cabinetry with decorative trim, granite countertops, two Thermador ovens with an additional warming drawer, 5 burner gas range, built in refrigerator, extra large sink with an additional vegetable sink in the island, 1 1/2 dishwashers, large pantry, desk area and a breakfast area with a bay window looking out to the private treed back yard which can be enjoyed while you are drinking your morning coffee or having a meal. 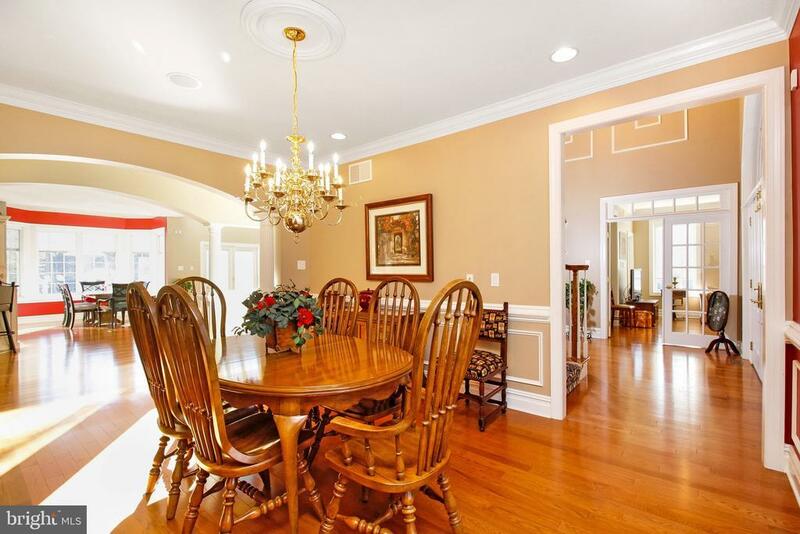 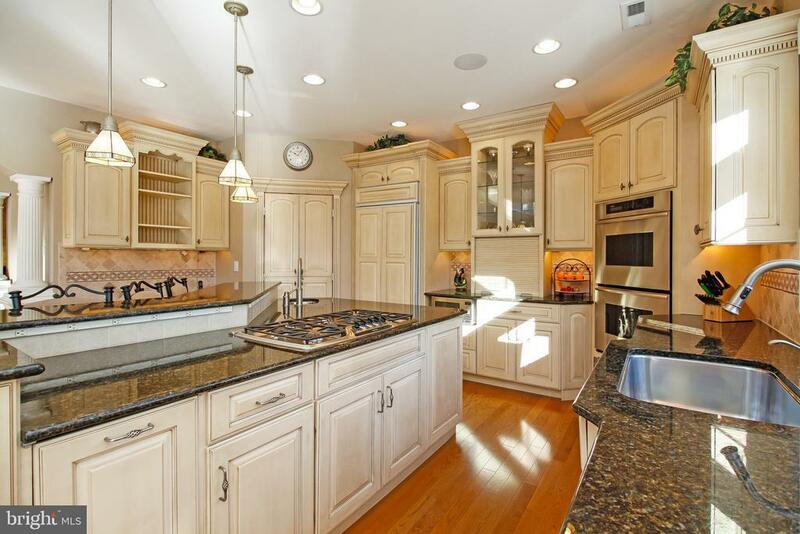 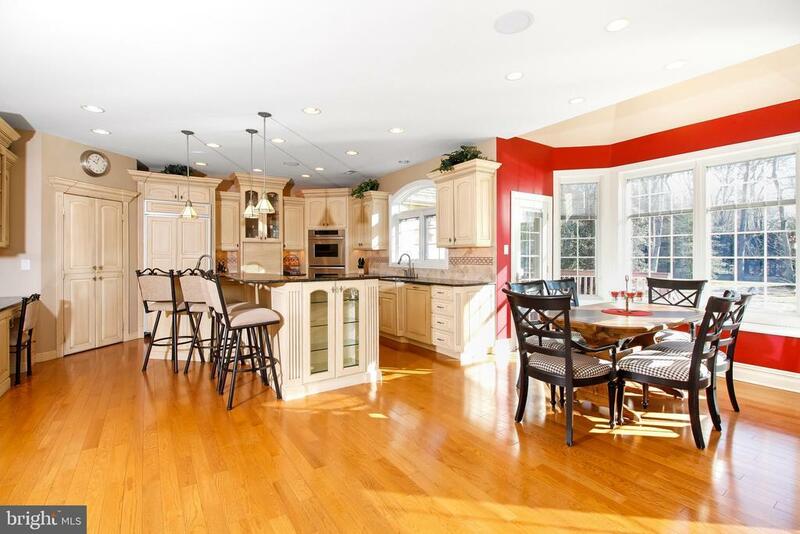 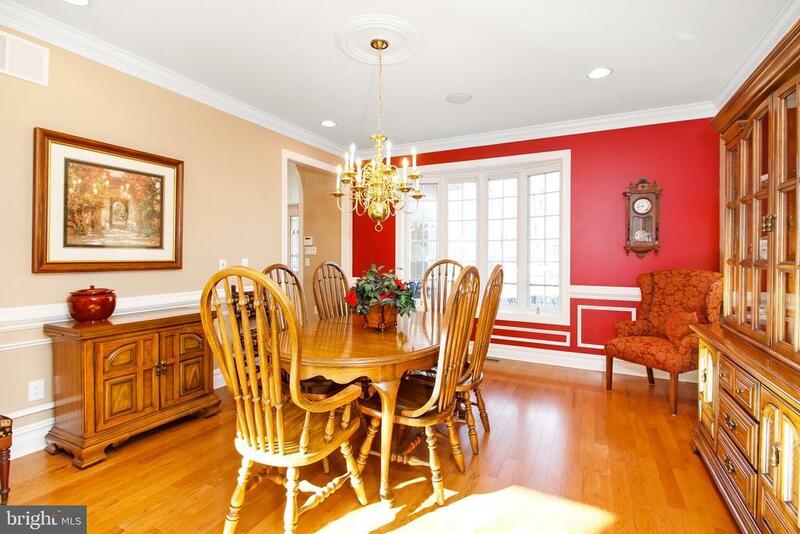 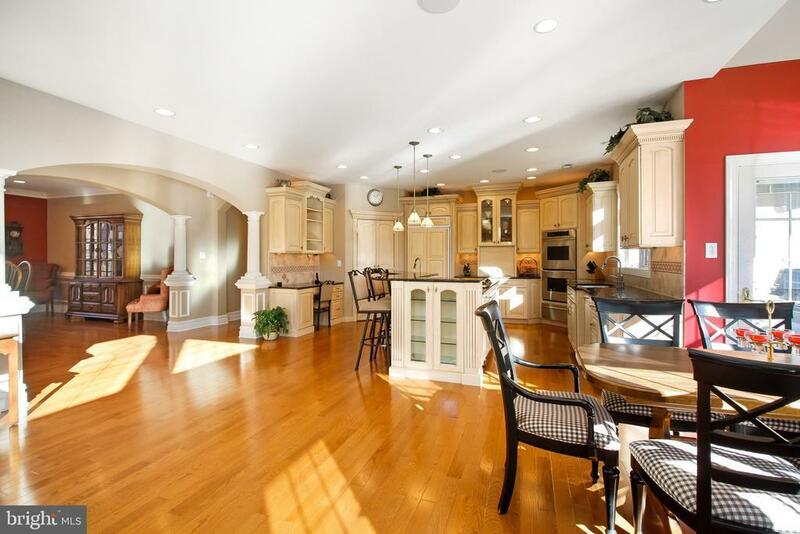 Adjoining the Kitchen is the elegantly appointed Dining Room for all of those more formal affairs. 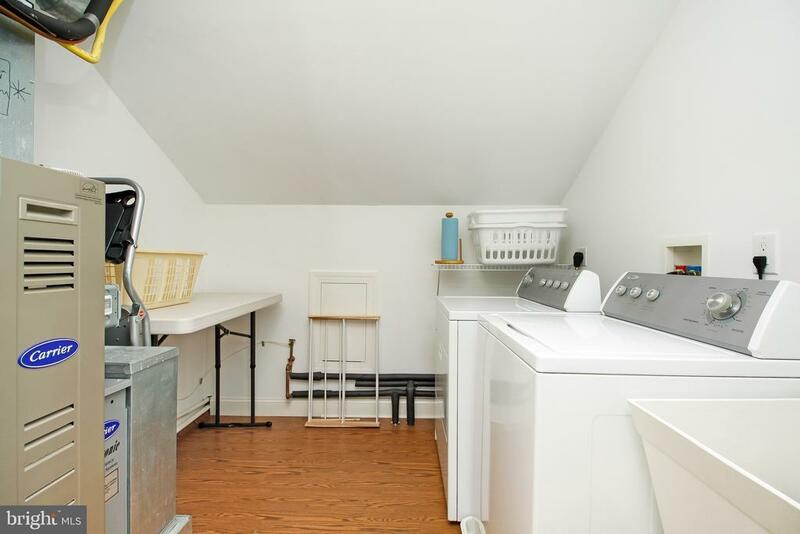 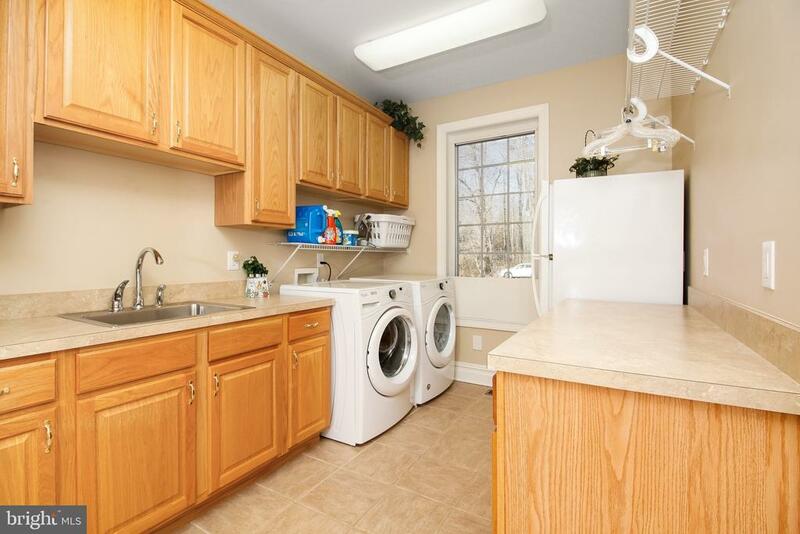 The roomy Laundry Room has a Whirlpool washer and dryer, a second full refrigerator, extra deep laundry sink, additional custom cabinetry, tons of storage, and is conveniently located off the 3 car, side entry garage. 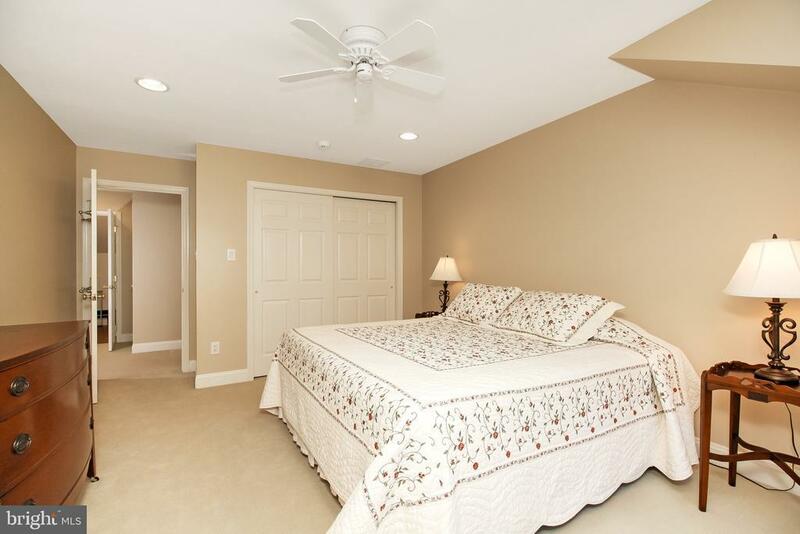 There is a large first floor Master Bedroom Suite which includes a sitting area accented by a gas fireplace, for all of those winter nights. 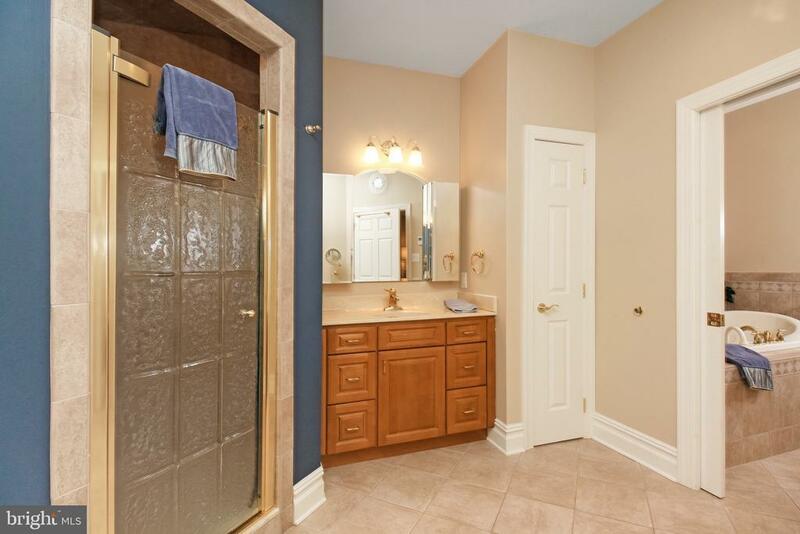 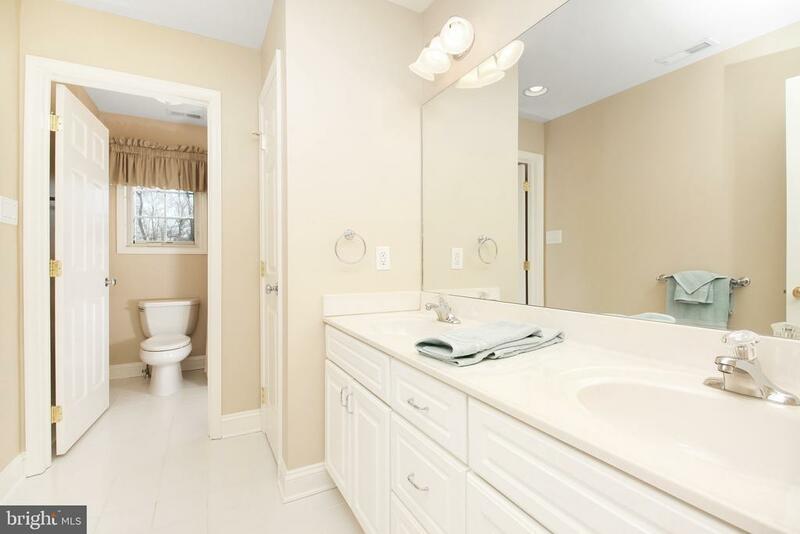 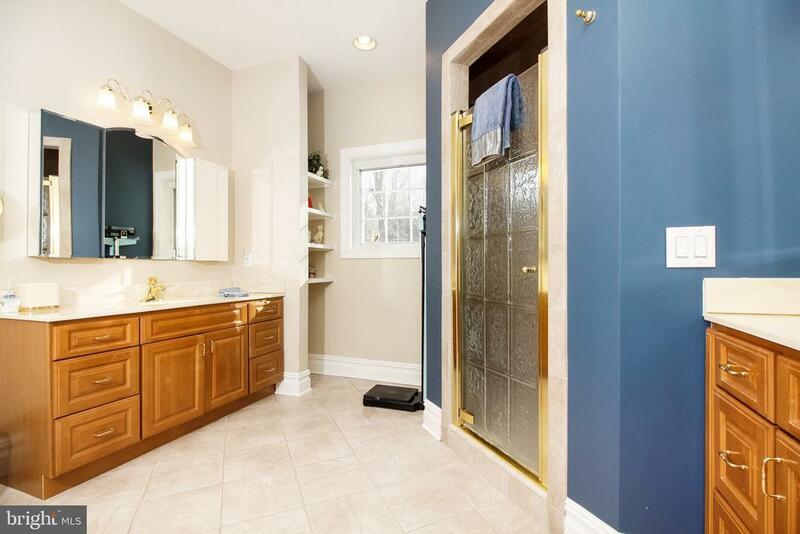 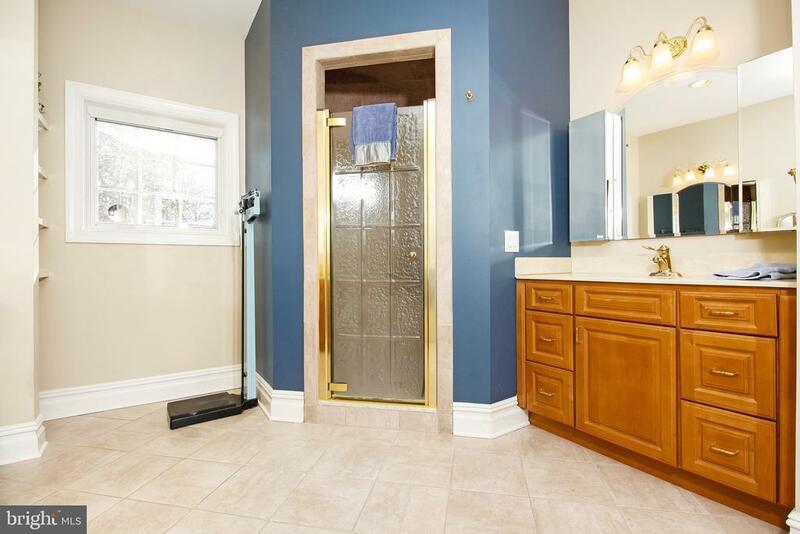 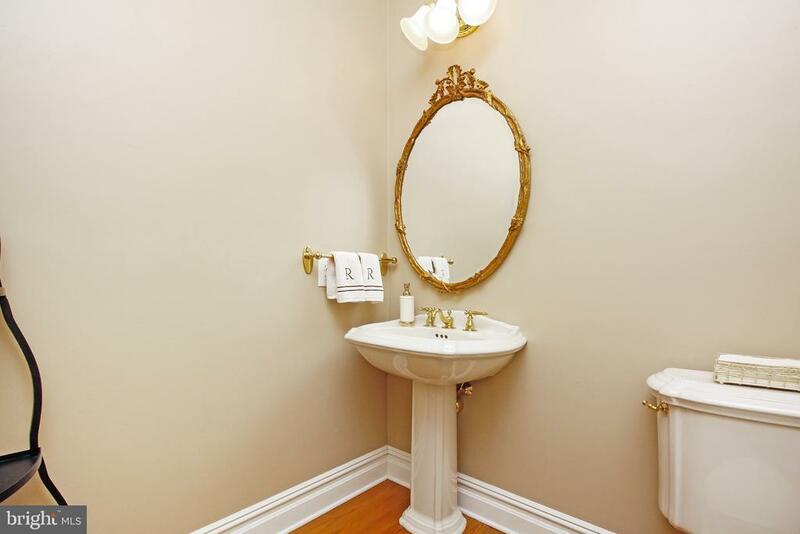 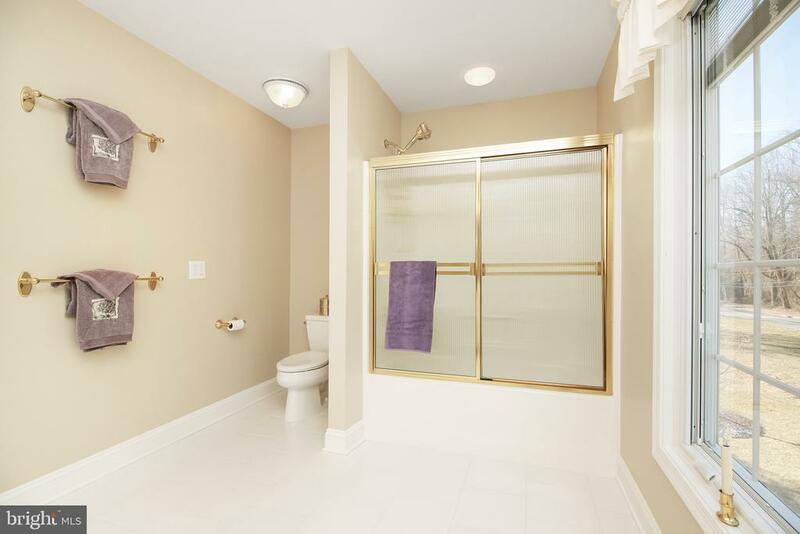 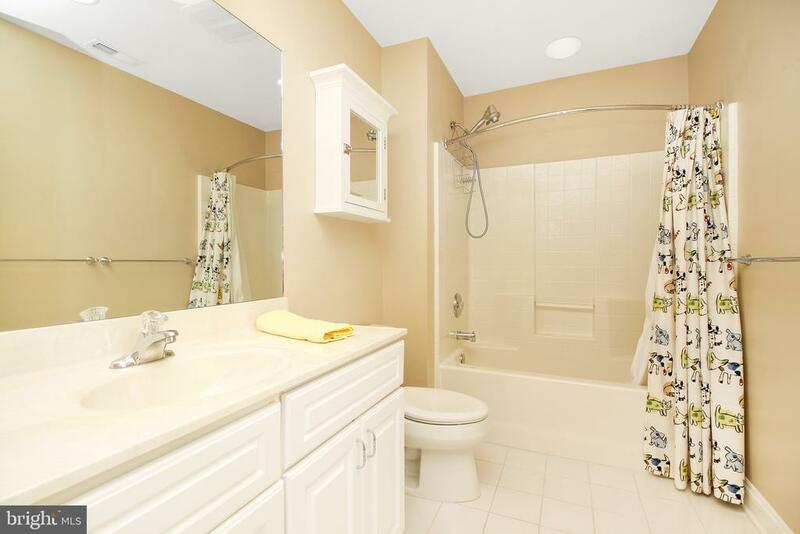 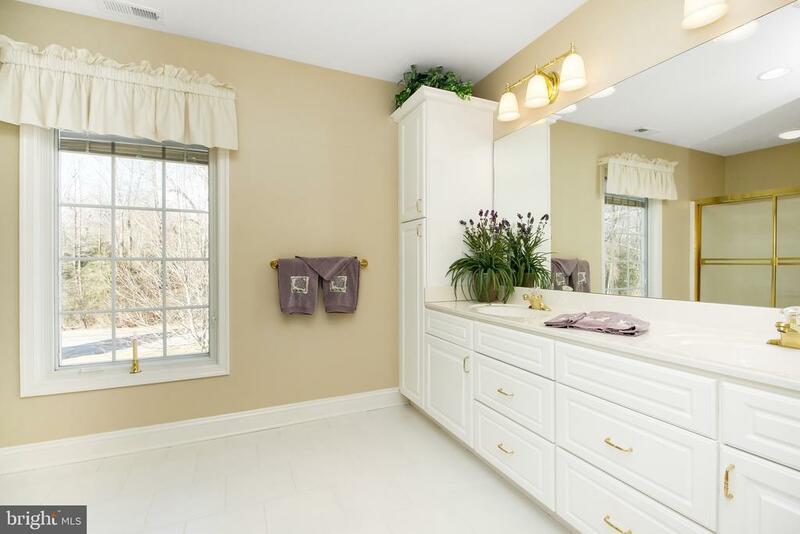 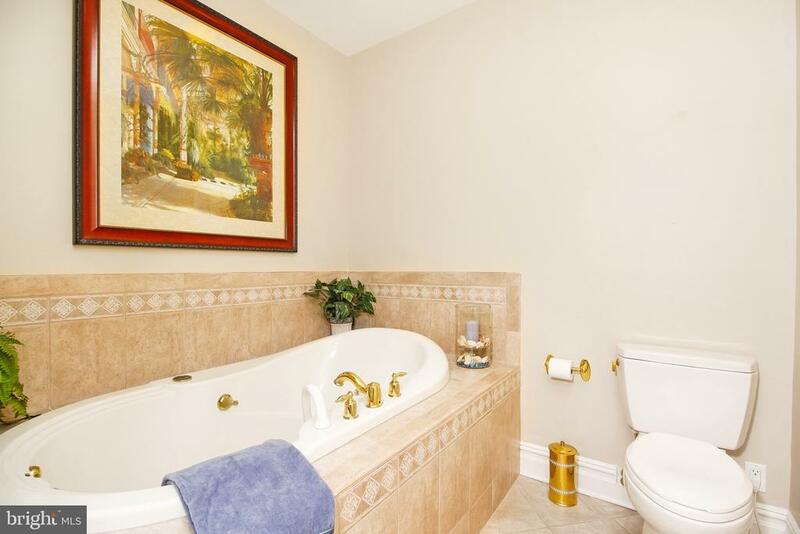 In the Master Bath there are separate double vanities, a large custom shower, a separate whirlpool tub room, and radiant heated flooring to complete this tranquil retreat. 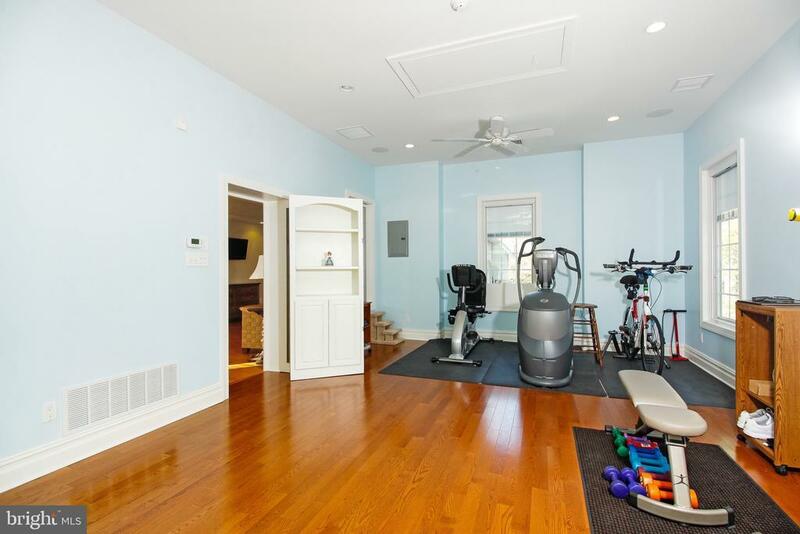 In the sitting area, the built in cabinetry is deceiving~.push it and it will lead you into the sundrenched Gym/Office/Sunroom with 10 foot ceilings and has an available private outside entrance and it~s own HVAC system. 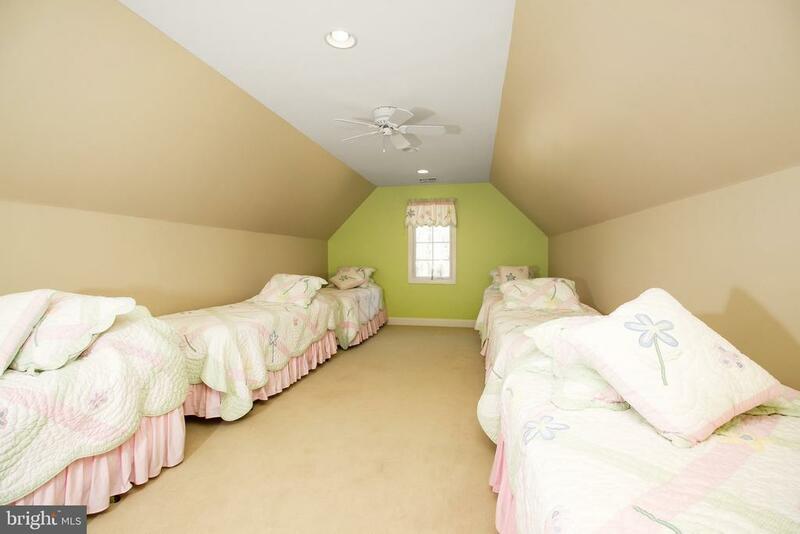 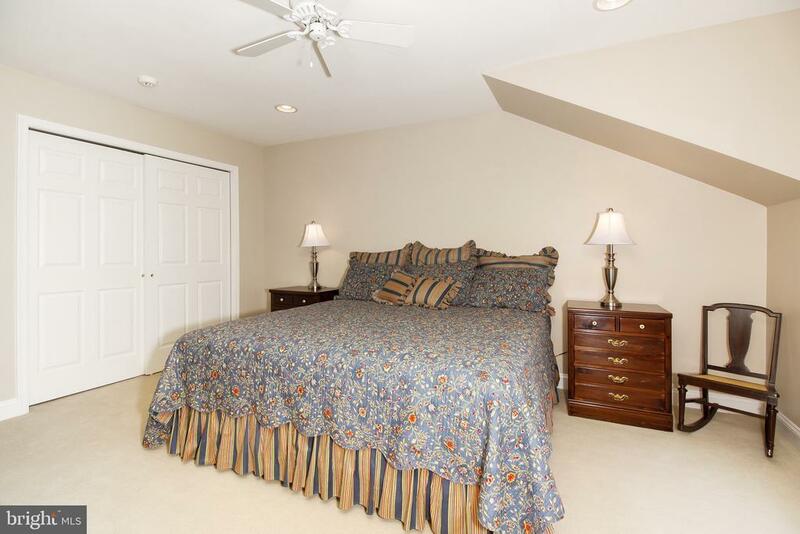 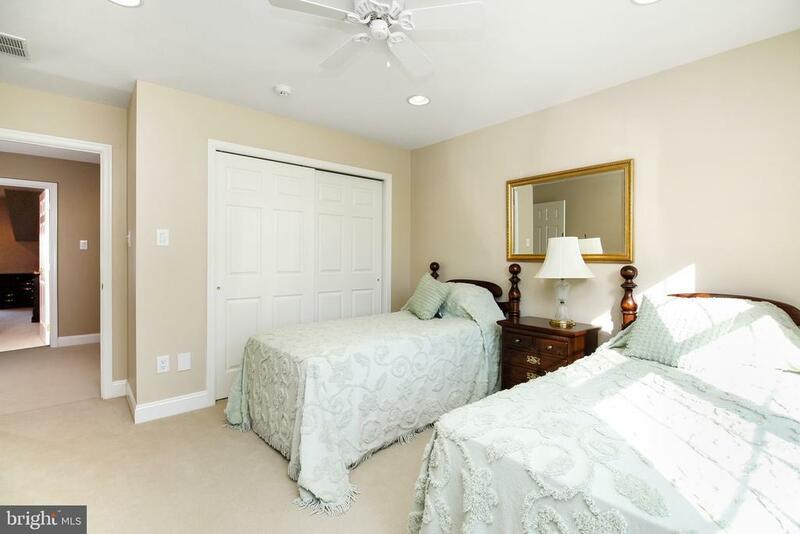 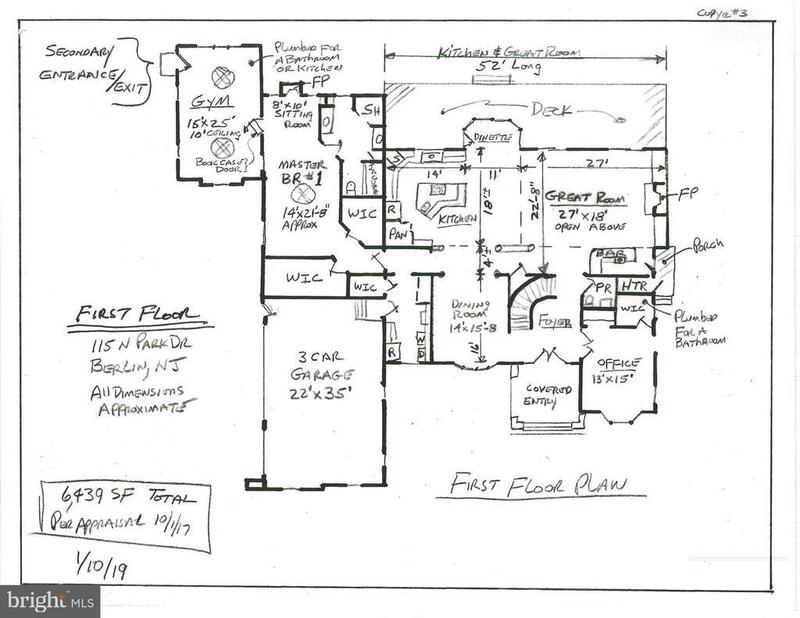 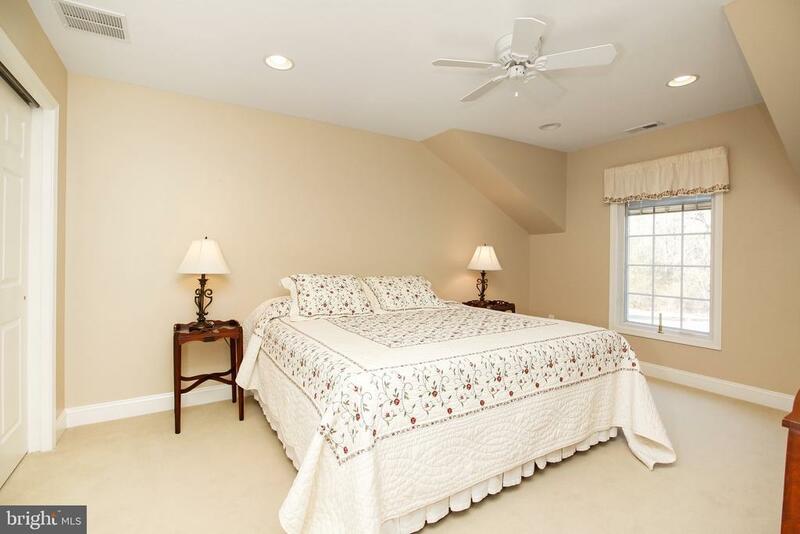 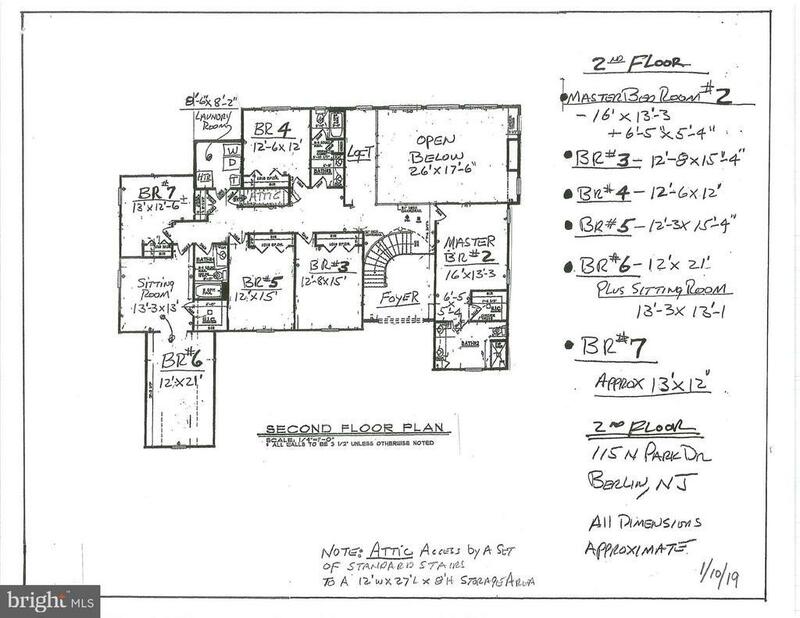 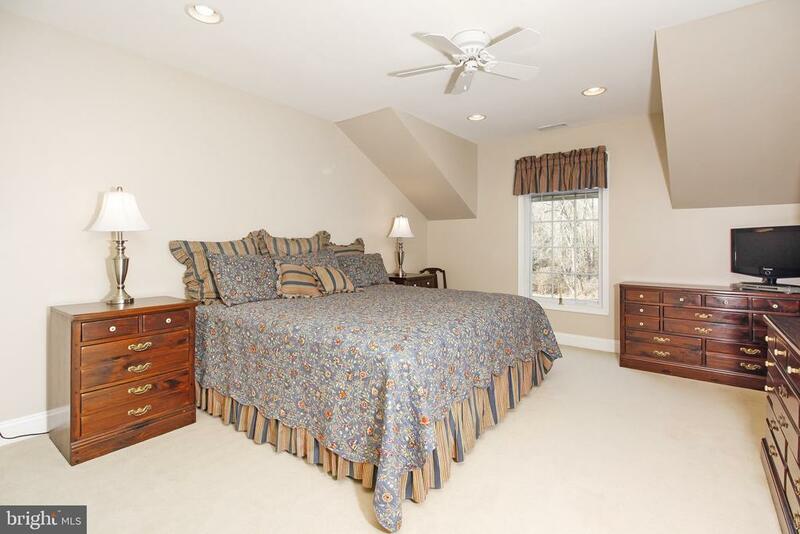 The second floor has a second Master Bedroom Suite with large a bathroom, as well as 5 additional rooms which can be used as bedrooms, craft rooms, office or a Home Theatre, plus two large Bathrooms, Laundry Room and a Loft area overlooking the Family Room. 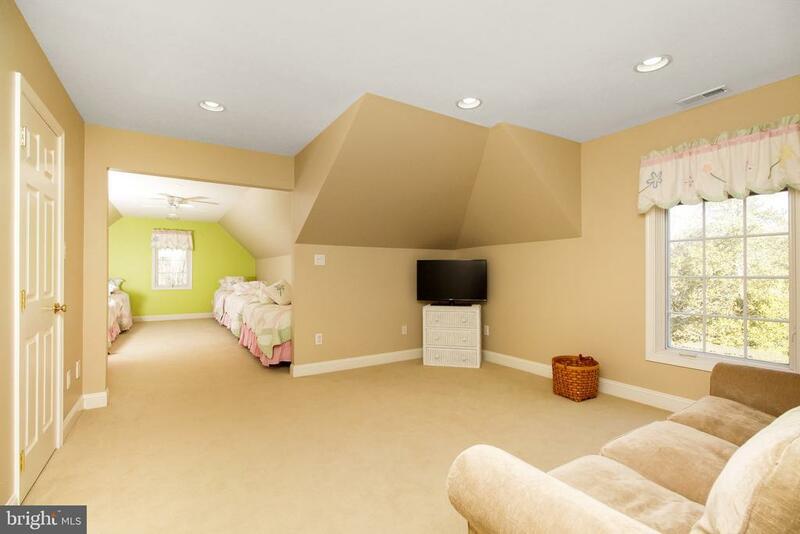 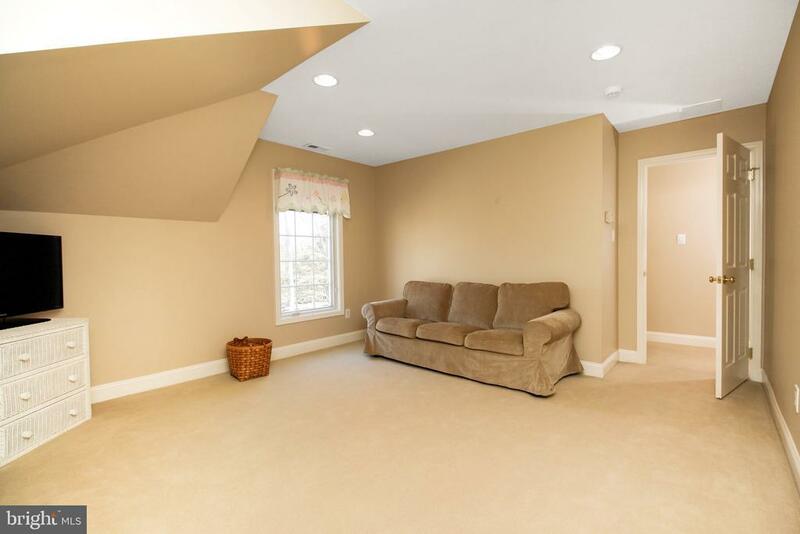 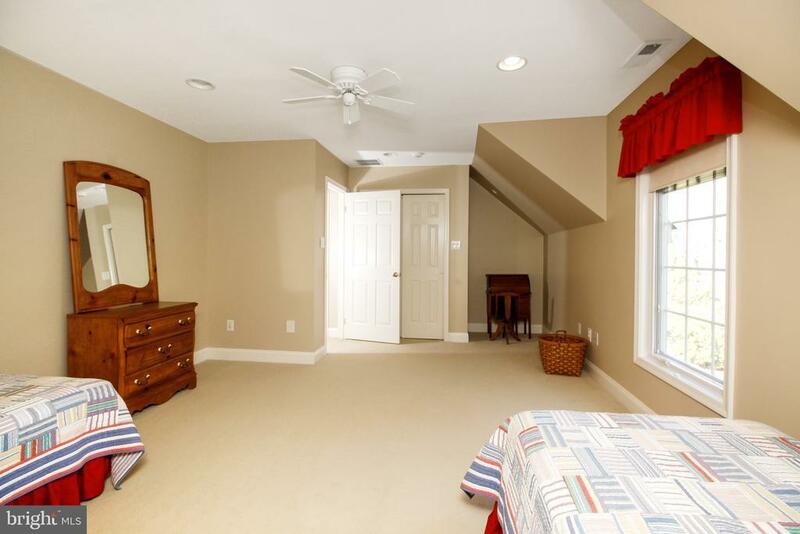 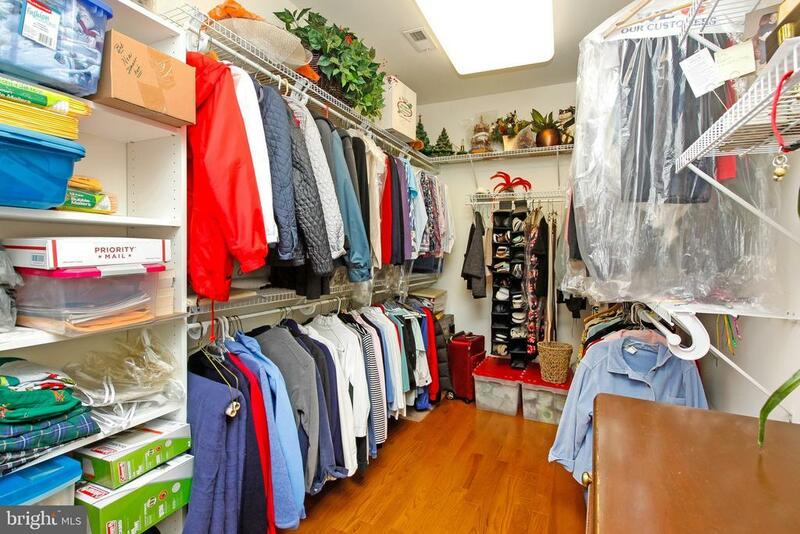 The ease of the walk up attic is great for additional storage. 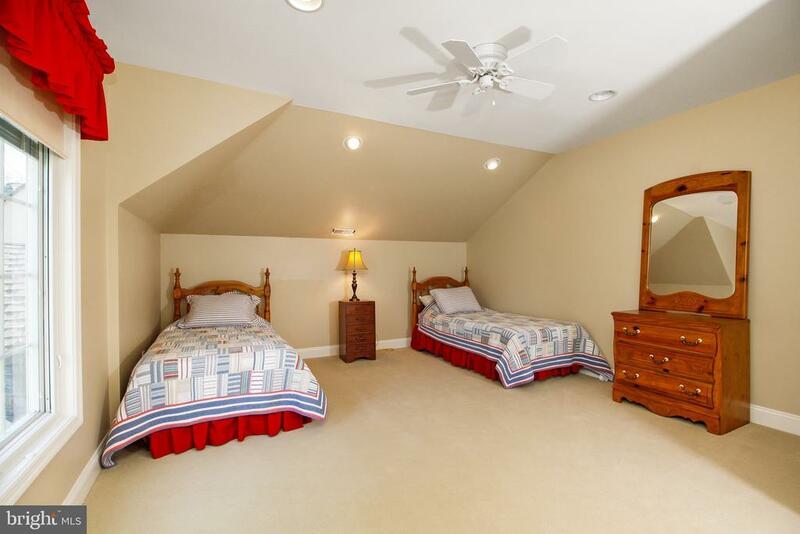 This distinctive home features all Pella Insulated Windows with built in blinds, a speaker system throughout the first floor, a surround sound system for the TV in the Family Room, and a security system. Other features are a 20 KW gas fired generator, low voltage hard wired window candles on a timer, a built in vacuum system, a lawn sprinkler system and landscape lighting. 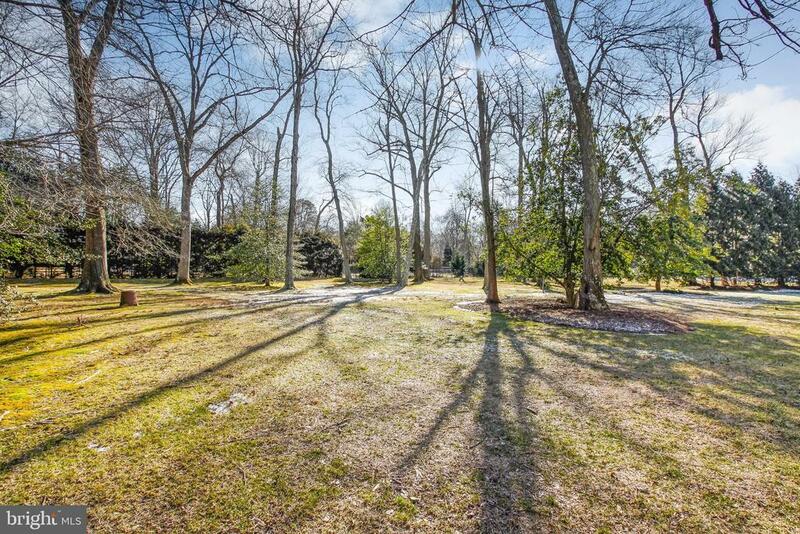 Enjoy sunny days in the splendid back yard when the trex deck provides the perfect spot for grilling out. 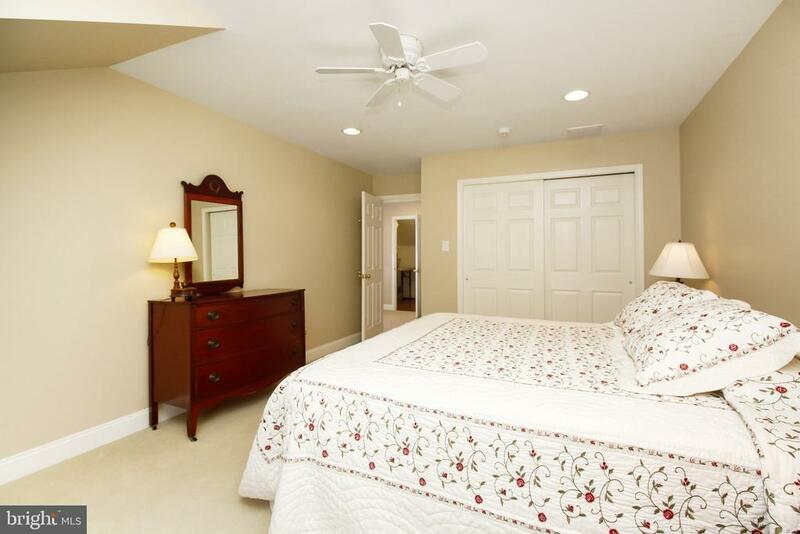 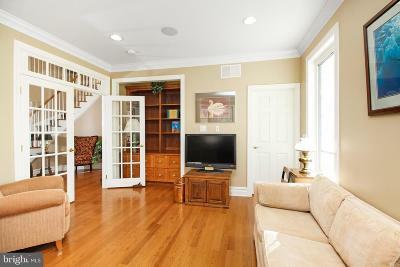 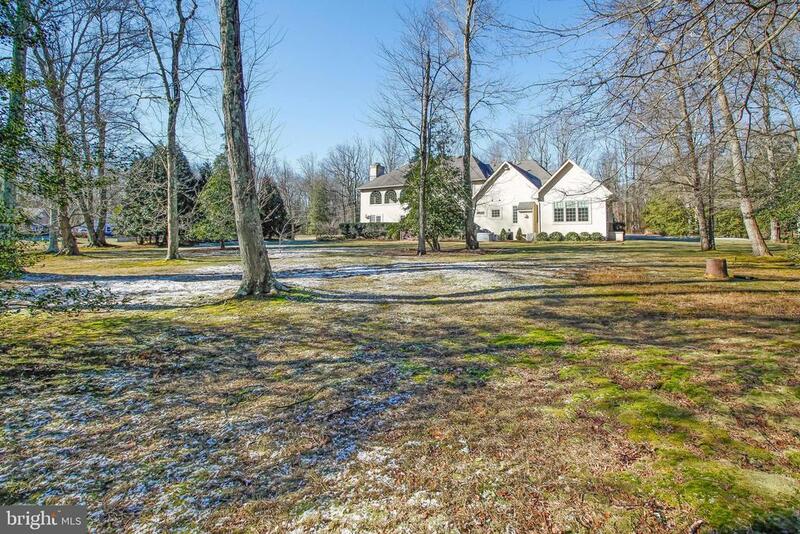 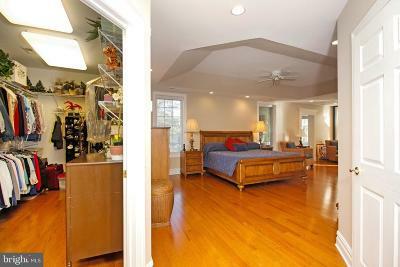 Located in the Eastern School District, close to major highways, shopping and restaurants. 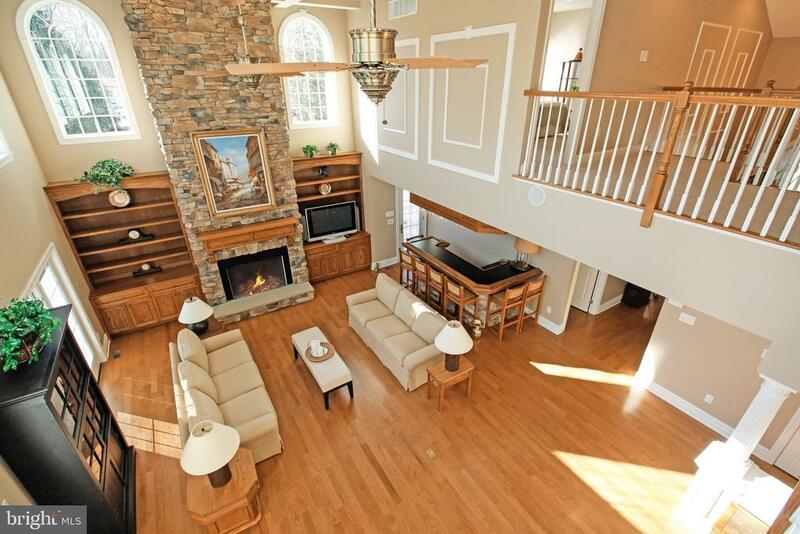 THIS IS A HOME YOU HAVE TO SEE !!!!! Directions: 73 S, slight right onto Cross Keys Rd, left onto N Park Dr, property on the left. Inclusions: Existing washer, dryer, refrigerator, window treatments and light fixtures.